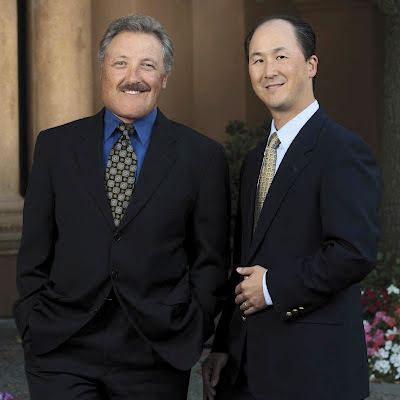 Brett Stompro, M.D., FACS and Chester Cheng, M.D. Board-certified plastic surgeons, Brett E. Stompro, M.D., FACS and Chester K. Cheng, M.D. specialize in plastic surgery of the face, breast, and body. Extensive training and experience, and a wide reputation for honesty and compassion, have distinguished them as leaders in their field. “We feel fortunate to be a part of an established practice that has always been committed to delivering the best in plastic surgery and lifetime patient care.” The doctors are proud to offer a full-service Medi-Spa dedicated to personalized nonsurgical improvements for a natural result and minimal recovery time including: Botox®, Dysport®, Juvederm®, Restylane®, and Fraxel Laser® Treatments. Complimentary consultations at four locations to serve you in Danville, Tracy, Livermore, and Hayward. Go to Plastic Surgery & MediSpa offices of Brett Stompro, M.D. and Chester Cheng, M.D. for your complimentary consultation. Loved you guys in Diablo Dr. Stompro!! Dr. Stompro is great! He deserves to be among the Best of the Eastbay! Dr. Stompro and his staff are absolutely amazing! He is one of the most well known surgoens in the bay area. Everyone who meets him, loves him! Dr. Stompro is the best! I loved seeing the article about him and Dr. Cheng in Diablo! His office and staff is definitely the best around! Best Plastic Surgeon duo in the Bay Area hands Down! I am a patient for life!!! Love you guys. Best plastic surgeon, father, football coach, (and so much more!) Dr. Stompro you are such an amazing person and role model. I know so many kids look up to you! Keep up your hard work and dedication in everything that you do!